Our family's travel style has evolved significantly in recent years. After living abroad for many years, hitting up a city's most notable and famous sights has become less and less important to us. My husband and I joke that we suffer from museum fatigue (a very privileged thing to suffer from, I know), which essentially means that after a while, the churches and museums and famous monuments all start to run together and become indistinguishable from one to the next. Now when we visit a new location, we try to seek out the less touristy places and spaces in an effort to get to know the character of the town better. In other words, we try to live like a local might for a few days. 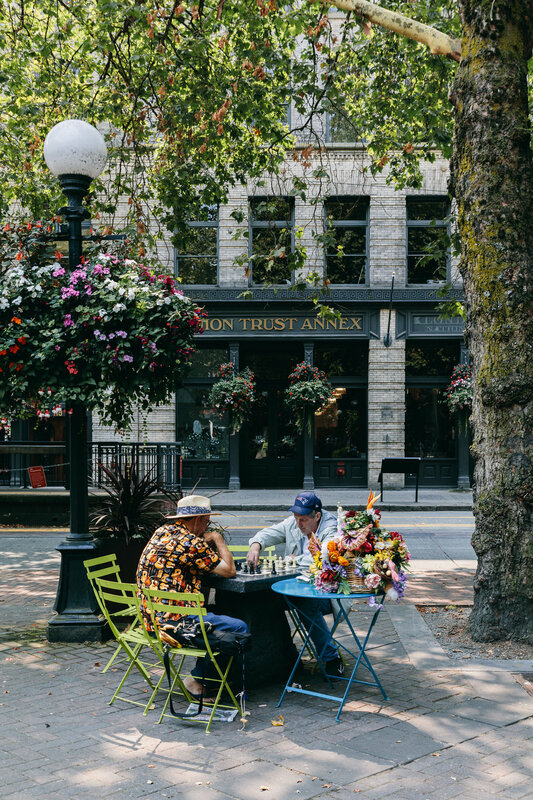 Our trip to Seattle this August was a good example of this travel philosophy, so I wanted to share the highlights from our visit with you. You'll see that we ate quite a lot (my favorite travel activity), frequented beautiful shops (should have brought another suitcase), and found a few dream homes along the way. 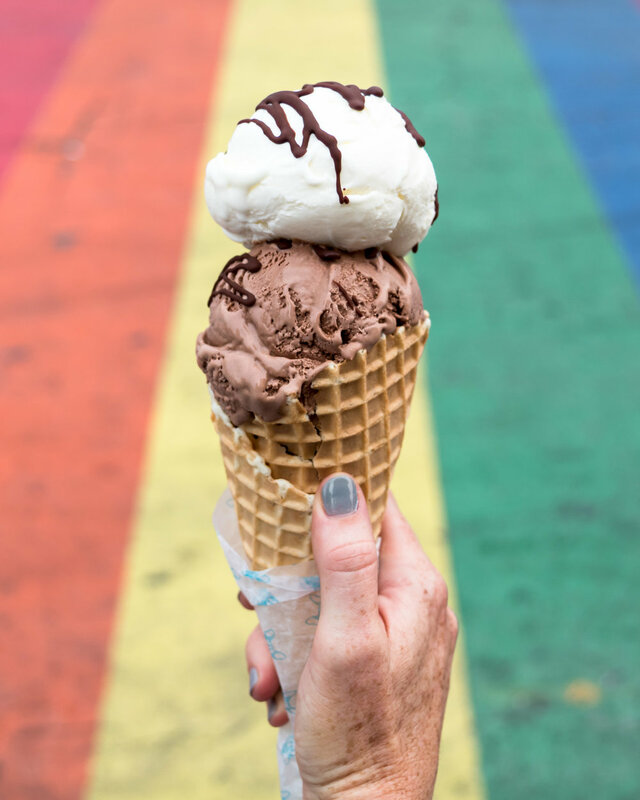 If those kind of things appeal to you (and if you want your Instagram to reflect that), consider this your cheat sheet on how to see the best of Seattle. This Instagram darling is more than just a pretty face. The food is wonderful, but you'll be so distracted by all the photogenic corners that you might not even notice. Just a warning that you'll be waiting for brunch on the weekend, but weekday mornings are sleepy and wonderfully empty. Part restaurant, part shop, all beauty. 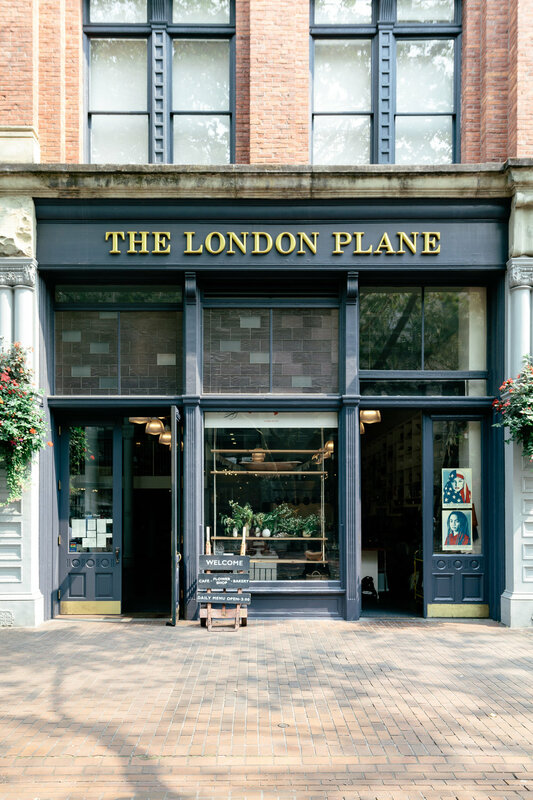 The London Plane has it all, including their delicious, signature Plane bread (order whatever toast is on special - you won't regret it - and then pick up some flowers on your way out). You can smell the waffle cones baking in this Capitol Hill icon from blocks away - and chances are you can see the line out the door, too. 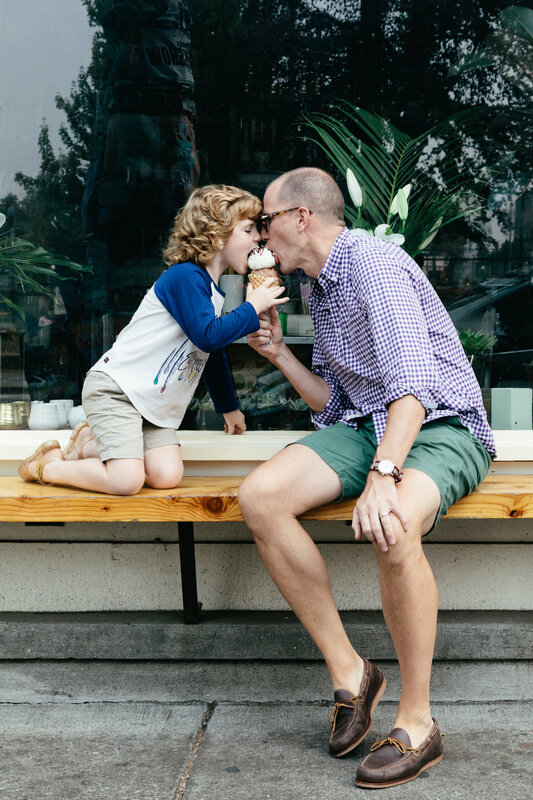 But have no fear, the line moves fast and the ice cream is worth the wait. We had it three times in three days. Thanks for the holiday weight gain Molly Moon - it was worth it. There's little I love more in a restaurant's design than a clean, striking aesthetic, and Bar Melusine excels in this area. But it also excels in delicious cocktails, fresh oysters, and the friendliest staff. Ask for a shucking lesson - they know what they are doing here! Glasswing is a wonderfully curated shop, featuring plants and flowers and clean beauty products and beautiful clothes and accessories for men & women. I didn't want to leave, especially without some items from the new Ace+Jig collection that I spied on the racks. Everything here is absolutely swoon-worthy. Stepping into the Seattle branch of Totokaelo is like stepping into a modern art museum. The ceramic and glassware display made my heart skip a beat, and their clothing options are what my designer dreams are made of. I felt a bit like a child, hearing my mom's voice saying "look but don't touch," but honestly, I touched ALL the clothes. I know that I'm officially a plant lady when I go out of my way to visit a plant shop on my holiday. 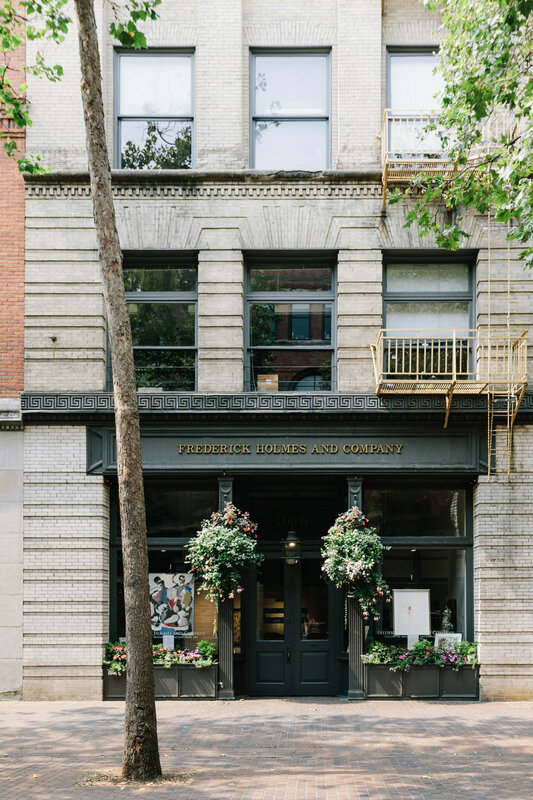 I did need to pick up a hostess gift, though, and I'm so glad that I decided to pop in Plant Shop Seattle to find it. I nabbed a perfect little pilea while not-so-secretly wishing that I could transport the entire store to my house in San Diego. 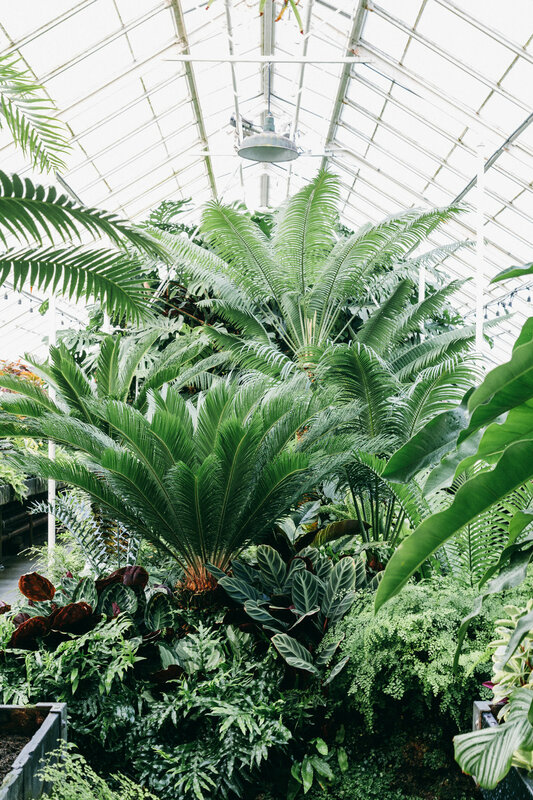 Tucked away in the beautiful Volunteer Park at the north end of Capitol Hill is a stunning historic conservatory. 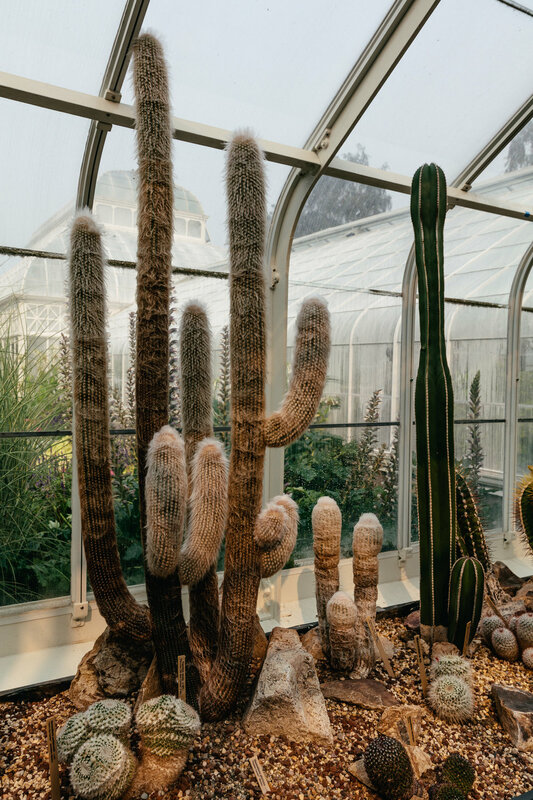 The rooms feature not only lush displays of all the humidity-loving plant friends but also a beautiful expanse of cactus and succulents. It was the last stop of our visit to Seattle and it made me insanely happy. Go - I promise it will do the same for you. It's no secret that I love residential architecture, and the Queen Anne neighborhood of Seattle is full of beautiful homes, mostly of the craftsman variety (despite its name). I took a million house portraits, but will share just this one with you. Go out of your way if you must to see this beauty; the upkeep and care the owners put into it is worth your visit. 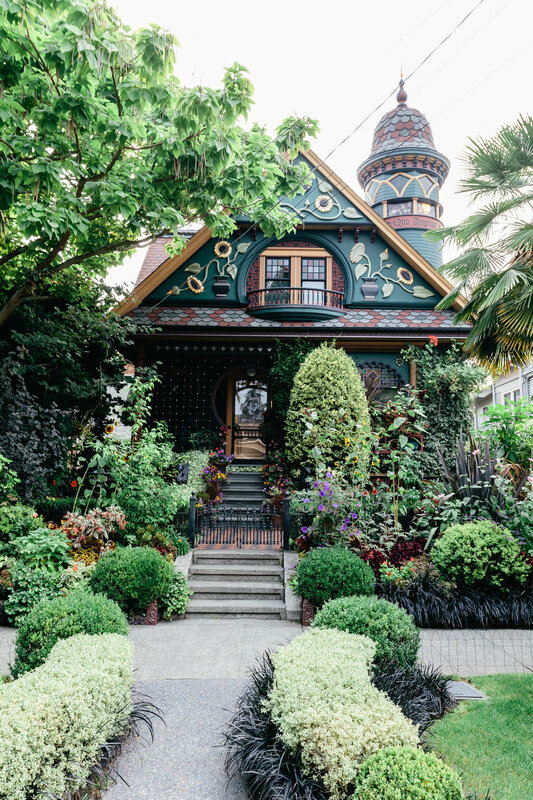 The Sunflower House in the Queen Anne neighborhood (on Nob Hill near Crockett). 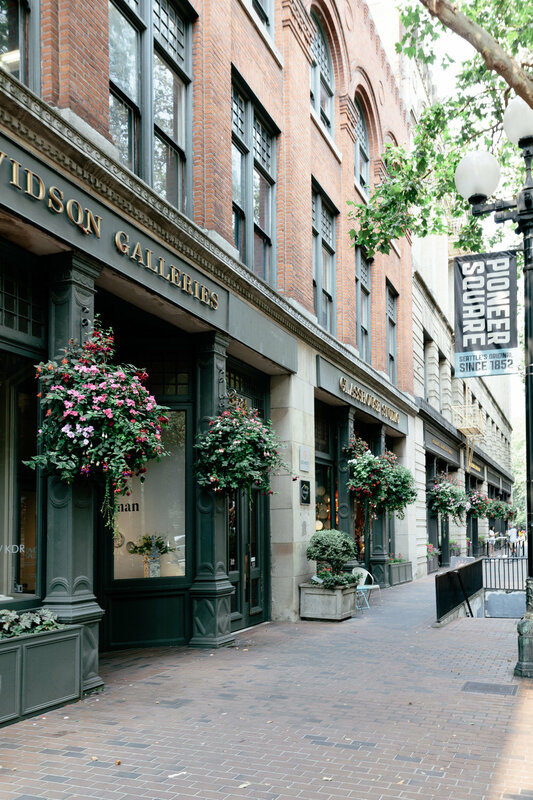 Think pedestrian-only streets, beautiful facades, smart shops and colorful characters - this downtown spot is a can't miss Seattle highlight. Hit it up during the summer to see the lovely flower displays; they reminded me a bit of London, and I loved it for that. Have you been to any of these spots? What did I miss that would make me a true Seattle local? Leave a comment below because I'm dying to make a trip back!